Elder Care Provider Sheets for interdisciplinary health professionals. Written and edited by interprofessional health care providers for health professionals and students. Want more education for paid and unpaid caregivers, and older patients? Our Care Partner sheets provide accessible information on key topics of concern for caregivers. IGS Brochures Delivered to You! Please fill out the form below to receive copies of IGS Brochures in print. Dedicated to the health of Older Americans. 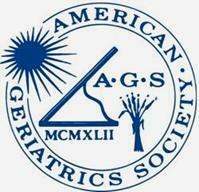 Promoting advocacy, education, networking and research for geriatric care providers. The Indiana State Medical Association is dedicated to Indiana physicians and their efforts to provide the best possible health care for their patients. Education, advocacy and resources. ​Aging in Place National Council for Aging Care, connects seniors, families, and caretakers with the information and professional support they need to make the best decision for their physical, emotional, and financial well being. The Special Committee on Aging has served as a focal point in the Senate for discussion and debate on matters relating to older Americans. Often, the Committee will submit its findings and recommendations for legislation to the Senate. In addition, the Committee publishes materials of assistance to those interested in public policies which relate to the elderly. Link to the Indiana AARP site (http://www.aarp.org/states/in/). Link to the Kaiser Foundation site (http://www.kff.org/). Participants in the Workgroup on Attributes of a Health Literate Organization of the Institute of Medicine (IOM) Roundtable on Health Literacy have developed a discussion paper that identifies ten attributes of a health literate organization. A health literate organization makes it easier for people to navigate, understand, and use information and services to take care of their health. The brief paper articulates a rationale for these attributes, and identifies the organizations that should use them. There is also a list of resources for organizations interested in taking action.